Sadique Pathan sat down with his nine-year-old son Friday morning to talk about Islamophobia and the attacks in New Zealand. "Islamophobia is so real, it's so real that I had to tell my children," said Pathan, the outreach imam at Al Rashid Mosque in Edmonton. "Politicians, particularly in Canada who are shying away from the use of the word, in calling this Islamophobia, need to wake up," he said. "This is not a discussion anymore. This is a reality." Pathan spoke to CBC News hours after a gunman opened fire in two mosques filled with worshippers during Friday prayers in Christchurch, New Zealand, killing 49 people and wounding dozens more. Edmonton police said in the wake of the attacks, patrol officers will keep a closer watch on the city's mosques. "The Edmonton Police Service is sensitive to how the senseless acts in New Zealand can impact our local community and their perception of safety," police said in a statement Friday. 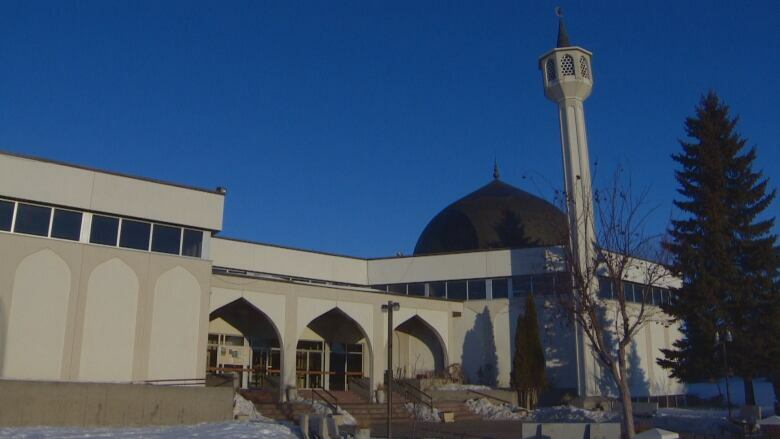 "As a result, there will be an increased EPS presence around the mosques in Edmonton." Police also said they are not aware of any threats against Edmonton mosques. The events in New Zealand are "traumatizing" and bring back memories of events that have happened closer to home, Hasan said, citing the shooting of six men at a mosque in Quebec City in 2017. "Your heart sinks and your heart hurts when you hear of senseless violence in a place of worship," he said. Aumer Assaf, spokesperson with Al Rashid Mosque said he was up most of the night speaking with people in the community by text and social media. "Just sharing our grief and anger. It's one thing to hate, it's another thing to act violently against a people," Assaf said. "As a human community, your heart is just broken." Recent incidents at two mosques in Edmonton have created fear in the Muslim community, he said. "It starts with words," Assaf said. "We have a social network where hate can kind of live unchecked." A manifesto linked to the man charged in the Christchurch attacks says he was motivated by white nationalist ideology, had planned the attack for years and anticipated that he might not make it out alive. According to the 74-page manifesto posted to a now-deleted Twitter account with the same name as the suspected gunman, the attack was planned to give him "enough time to train, form a plan, settle my affairs, write down my views, then enact the attack." 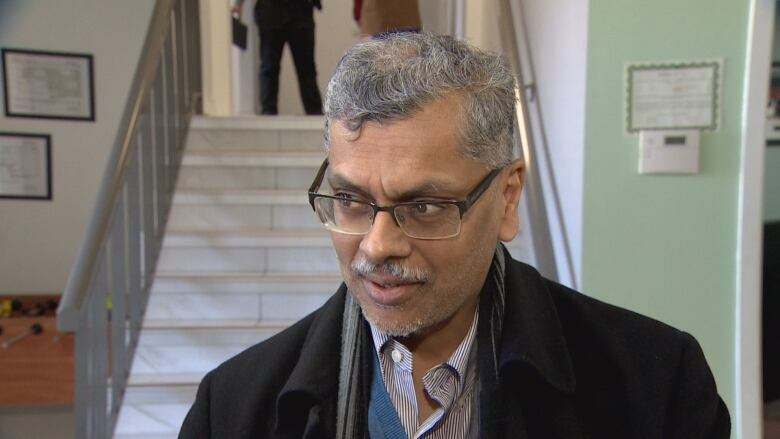 Irfan Chaudhry, director of the office of Human Rights, Diversity and Equity at MacEwan University in Edmonton said the manifesto is similar in tone to others written by those involved in previous mass shootings. "There was a targeted audience in terms of how the person was writing in terms of trying to inspire other like-minded folks to carry out similar things," Chaudhry said on CBC Radio's Edmonton AM Friday. "It was very direct in terms of what the motives were around their perceived sense of too much immigration." It's easy to dismiss these acts of violence as "one offs," he said. "But there is a systemic cyclical aspect here that's embedded within bias and discrimination towards an identifiable group based on faith," Chaudhry said. There is a need to address Islamophobia directly versus condemning all forms of hatred, he said. "You want to call it the issue that it is: Islamophobia. You want to call it when it's discrimination in terms of racism or sexism or homophobia because then you can really start to articulate the key issues that need to be challenged and address some of the grievances that might be fueling some of these hateful narratives and acts." Alberta Premier Rachel Notley offered her condolences to Muslim communities across the province. "There are those who want to fan the flames of intolerance but that is not how Alberta was built," she said in a statement Friday. "Today, as Alberta's Muslim community gathers for Friday prayers, I want to thank the police officers and community members – people from all faiths and backgrounds – who have already stepped up to show love and support to help defend the sense of security that all of us expect and deserve. "We must continue the fight against racism, hate, intolerance and religious persecution of all forms, including Islamophobia." For Mobarak Ahmad, one of dozens who attended Friday prayers at Al-Hadi Mosque, worshipping is a key part of combatting hate. "It's not just at mosques," said Ahmad, pointing to the deadly shootings at a synagogue in Pittsburgh and a church in Charleston, S.C. "This is a very worrying trend that it seems no houses of worship are safe. But the response has to be to fill those houses of worship in any case ... so that no one who hates any group feels that they can stop us from praising our lord." The Alberta Muslim Public Affairs Council is planning to hold an event in support of Muslims in New Zealand with details expected to be released later Friday, Hasan said.